Hey y'all! First things first... I haven't been blogging for the past two weeks. Last week was homecoming week at Alabama, and I spent so much time working on Theta's pomp and float, which turned out amazing. I was getting home really late, so I decided to focus solely on school and Theta. But now the week is over, and my life is a back to normal, so my posting schedule will be back to normal. The next piece of business. So if you haven't noticed, things are a lot different around here. I finally bit the bullet and did a whole redesign instead of changing little things. The idea for the redesign came in the summer when Carly relaunched The College Prepster and Fran announced that she had a few changes on the way for the Blonde Prep. I had spent several weeks just staring at my blog. Something about it bugged me, and I couldn't not figure what it was. I was relatively happy with the content I was producing, and I was excited for what was planned, but I hated how my blog looked. I finally pinpointed what is was. The pink. If you are new here or don't remember the old design, my color scheme was pink and navy, which happens to be my favorite color pairing. While I love pink and navy in every other aspect of my life, I really disliked it for my blog. I knew it was time for a change, and I wanted to share with y'all how I decided on this new blog design. 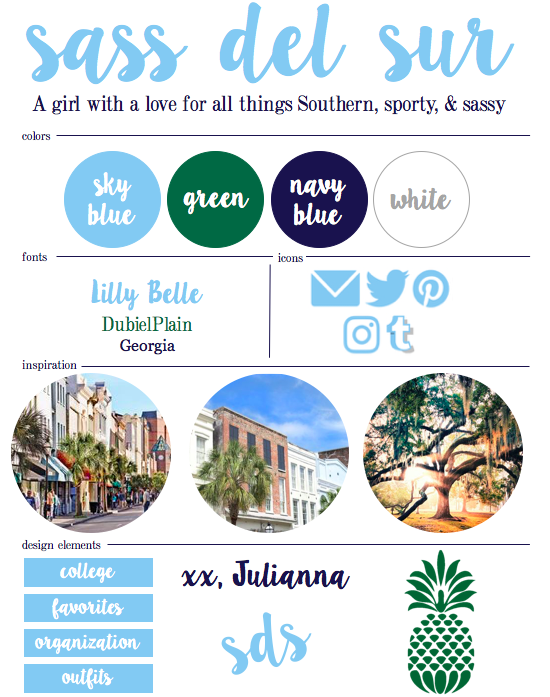 My blog name is based on that Southern charm and sass, and I wanted my blog design to reflect that. The number one priority was changing the color scheme. First, I tried searching for classic Southern colors, which brought me of course to Southern Living. One of the colors the featured was Historic Charleston Green, and while I didn't use that color, it got me thinking. I wanted to use colors that are seen in cities like Charleston and Savannah, iconic Southern cities. What better colors to use than sky blue and green? I used Pantone's Color Finder to search through different shades until I found the perfect ones. The sky blue is my main color with the green as an accent then I wanted to keep navy as my text color and white as my background. In the midst of searching through colors, I was also looking through photos of Southern cities to give me inspiration for the rest of the blog. I looked at a couple of cities, but like I said, Charleston and Savannah stood out to me. Savannah is one of my favorite cities, and while I haven't been to Charleston since I was little, I remember loving it so much. Savannah is so amazingly beautiful (shout out to Sherman for not burning it down), and Charleston is filled with charm. Then there is the font. I had being using Georgia as my body text and DubielPlain as my main font, however; I wanted something loopy and fun since both fonts I was using were serious serifs. I had downloaded LillyBelle a while ago, but I never really had any reason to use it... Until now! I think it is such a fun font, and I (hopefully) won't get tired of it. I am now using DubielPlain as my accent font with Georgia still as my body font. Finally we have icons & design elements. For the social media icons, I used the same ones I had before and just changed the color. I think the design elements were what I thought about the most. I knew I needed a new favicon and signature, but I wanted to add more. I created the labels for my most talked about categories, and you might be wondering about the pineapple. No, I don't like pineapples. 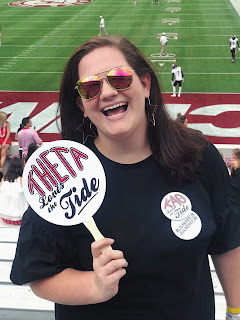 Pineapples, however, in the South are a sign of welcome and hospitality, and I thought it was a perfect way to incorporate a bit of Southern tradition to the blog. Also, I created a drop down menu, which might be my proudest accomplishment HTML-wise.